Specializing in the Design and Installation of Commercial Irrigation Systems for Business Owners and Facility Managers in Commerce, MI and Surrounding Cities. When it comes to maintaining healthy flowers, shrubs and other landscaping elements for office parks, municipalities, sports fields and other public spaces, it’s wise to protect your investment with innovative smart commercial irrigation systems. 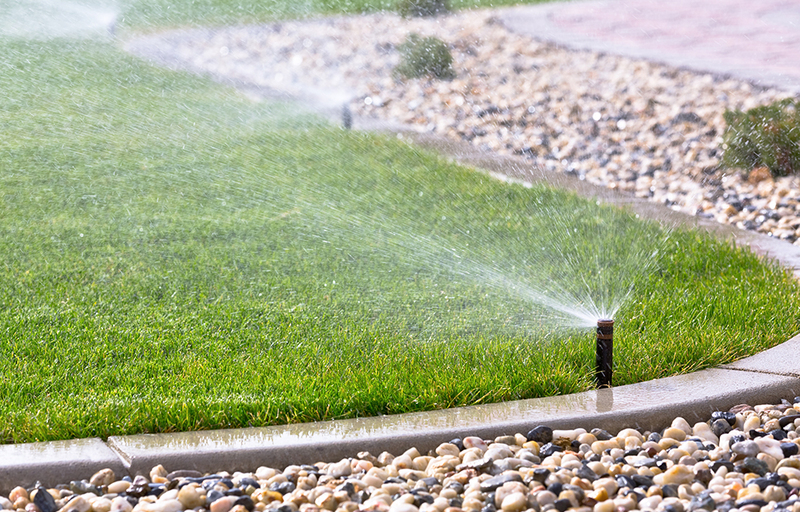 Our experienced team at Michigan Automatic Sprinkler customizes and designs smart irrigation systems to fit your business' specific needs. These systems provide optimal water levels to keep your commercial landscapes in perfect condition year ‘round—regardless of their size. We provide expedited professional repairs, maintenance services, as well as design new installations and make updates for irrigation systems. If you're looking for a high-tech solution, we can design and install highly accurate monitoring packages for smart irrigation systems. Your grass and ornamentals will enjoy getting just the right amount of water when it's needed through the beauty of modern irrigation technology. Michigan Automatic Sprinkler is an industry leader in commercial irrigation, specializing in large-scale irrigation master planning and design, installation and maintenance. We are based in Michigan but our commercial accounts span east of the Mississippi. We service commercial clients in Michigan, Illinois, Ohio, Indiana, Wisconsin, Minnesota, Pennsylvania, Kentucky, New York, Virginia, North and South Carolina, Florida, and Tennessee, providing innovative, cost effective solutions for complex irrigation design and builds as well as troubleshoot complex issues with current systems. Our vast knowledge and certified irrigation team provide years of experience in designing irrigation systems for recreational parks, open spaces, sports complexes, schools, retail centers, streetscapes, large scale commercial projects, national cemeteries and golf courses. Our projects include General Motors World Headquarters, Ford Motor Company World Headquarters, University of Michigan Bishop Field and Practice Fields, University of Detroit, Comerica Park, the City of Southfield and the City of Canton. Michigan Automatic Sprinkler works closely with the landscape architect, general contractor, project manager and project developer to determine the most economical or desirable water source, type of water application, irrigation materials and installation methods before we design and install your commercial irrigation system. We are a valuable resource to our commercial clients as we stay intimately involved in the process from design and planning, to installation, to maintenance and training on the system. We are with you every step of the way and make sure your system conforms to the construction documents. What makes smart irrigation systems an ideal choice for those seeking lawn, landscaping, park, and sports field irrigation, is that they do much more than operating on basic programming schedules. Your custom smart commercial irrigation system can be armed with its own weather station that takes into account wind, rain, soil evaporation levels, and other weather conditions and adjust your watering cycles accordingly—without you ever having to touch a button! However, manual operations via your computer or smartphone are possible, so you’ll still be in charge when you so desire. There are countless benefits to this amazing technology including saving money on water bills and healthier landscapes that will flourish. Through the smart controller’s ability to detect rainfall, your system will never be running during or shortly after a rainstorm—it will only activate when the soil detection system indicates water is needed. This keeps plants, grass, and shrubs healthier by preventing root rot that can ultimately spell demise for your landscaping. Zoning technology means that only the areas that need water will be activated as opposed to the entire system. How smart is that for commercial irrigation management? If you’re in the market for technologically advanced commercial smart irrigation systems, look no further than Michigan Automatic Sprinkler—the reputable authority on commercial irrigation systems in Commerce Township, Michigan. 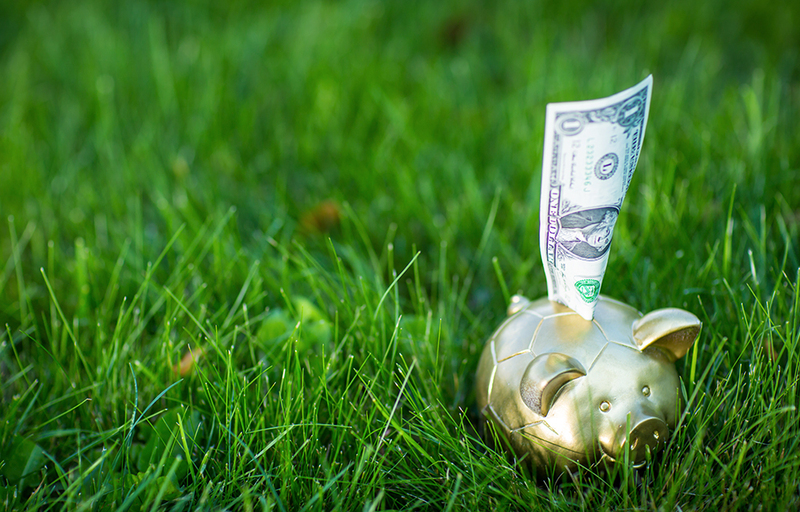 Prevent Costly Repairs and Protect Your Budget with Seasonal Maintenance of Your Commercial Irrigation System. 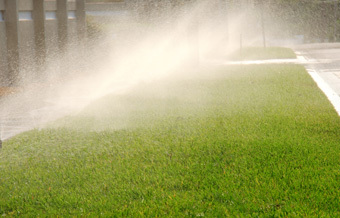 Timely service and maintenance of your irrigation system add to its longevity. Michigan Automatic Sprinkler installs, maintains and services over 5,000 valued customers a year. Our team of trained and experienced technicians and managers provide the best service in the business. No matter the issue, our team will diagnose the situation, confirm if the system is under warranty, and give a complete detailed cost estimate to the business owner before any work is to begin. Our service department is also responsible for general maintenance on your system. Whether you're installing a new sprinkler for your landscaping, need a complete irrigation replacement for a soccer field or want to illuminate your business with landscape lights, contact us today for a free assessment!